Today at its annual developer conference, Google made several announcements about what augmented and virtual reality projects it and its partners have been working on. Google just launched its Daydream VR platform 6 months ago, but already there are over 150 VR apps on Google Play and a small selection of Daydream phones, including the Google Pixel/Pixel XL, Huawei Mate 9 Pro, Moto Z/Moto Z Force, and ZTE Axon 7. We’ll be able to add a few more phones to this list later this summer, because Google revealed that Samsung’s Galaxy S8 and S8+ will receive a software update making them Daydream compatible. LG’s next flagship, likely the LG V30 that launches in the second half of the year, will also be Daydream ready. Back in October, Google launched the Daydream View, a smartphone-powered VR headset, alongside its Pixel phones as part of its Daydream platform. The fabric-covered headset was designed to be comfortable to wear and serve as an affordable entry point for VR. 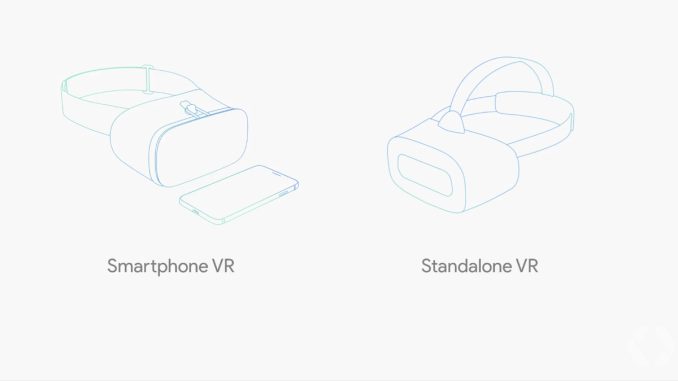 Today during its opening keynote presentation, Google added a new device category to Daydream: standalone VR headsets. These standalone head-mounted displays (HMDs) are self contained and do not require a PC or smartphone and are completely wireless. Google worked with Qualcomm to create a reference design for partners, which means these products will likely be using a Snapdragon 835 SoC. The first Daydream HMDs will be an unnamed product from Lenovo and a new HTC Vive, both of which will arrive “later this year” and support Google’s WorldSense positional tracking, a new Daydream technology that’s derived from Project Tango. Speaking of Tango, Google has used the technology’s ability to track motion, measure distance, and establish its position within an environment to enable its new Visual Positioning Service (VPS) that allows you to map indoor locations. While GPS establishes your location outdoors and guides you to a destination (a store, for example), VPS does the same thing indoors, guiding you to a specific location or even a specific product within the store. This AR experience uses cameras to recognize objects and landmarks within the environment and provides directions to your destination. VPS currently works in select museums and Lowe’s home improvement stores, and will require mapping and product/feature location information before the service is available in other indoor locations. It will also require a Tango-compatible device, like the ASUS ZenFone AR that will be available this summer. Google also announced that it’s bringing Tango into the classroom with Expeditions AR. It said that over 2 million students have already taken virtual field trips using Expeditions VR with Google Cardboard over the past 2 years. 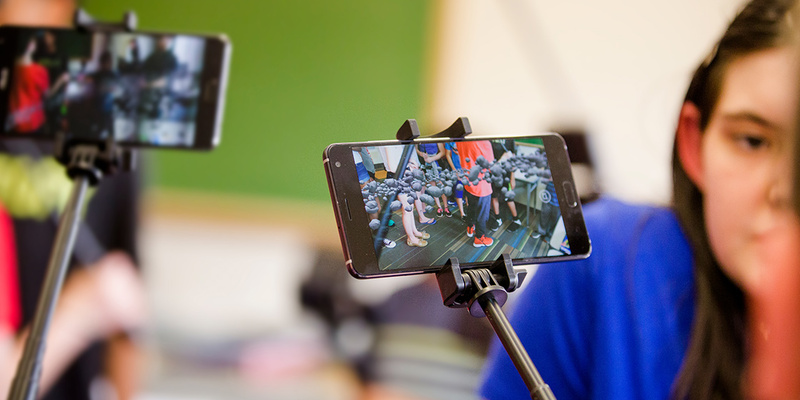 Now with a Tango-enabled device, students can collectively experience and interact with virtual objects, perhaps a strand of DNA, anatomical models, or an internal combustion engine, within their environment. Expeditions AR lessons will be coming to schools this fall through a Pioneer Program.